When a camper selects a transportation option, it is applied as the camper's default transportation method for the session group. 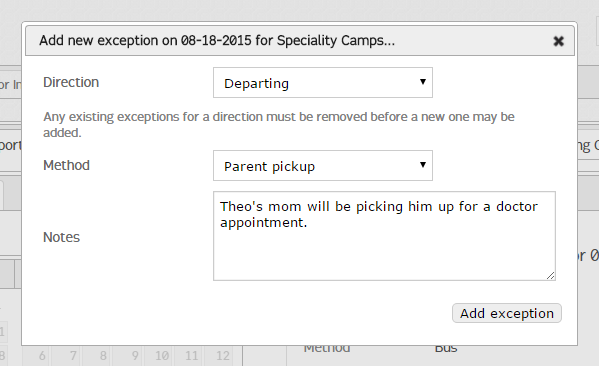 Occasionally, a camper will need a transportation exception made in order to change their transportation options for a single day. 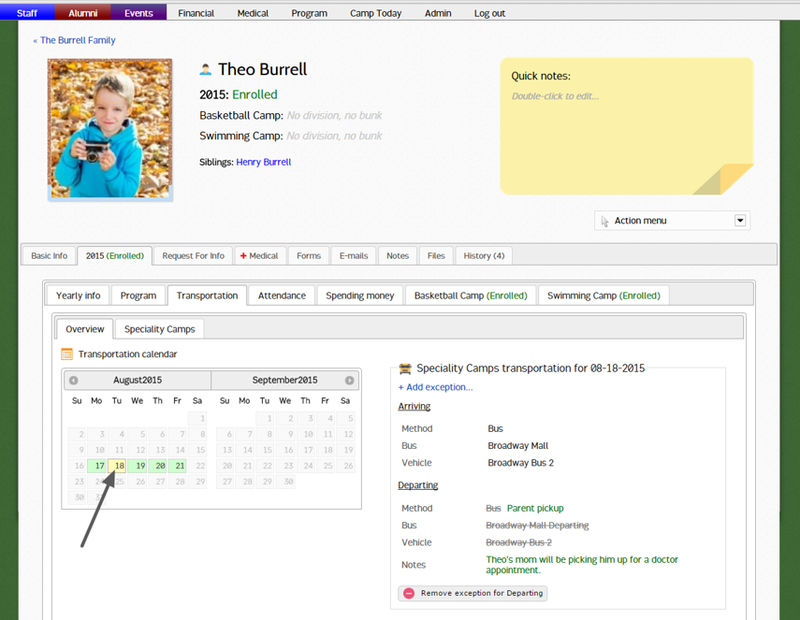 The Yearly > Transportation > Overview tab on the camper profile includes a calendar that allows you to select a date to view the camper's transportation for the day. You will be prompted to enter the exception details and notes regarding the day's change. 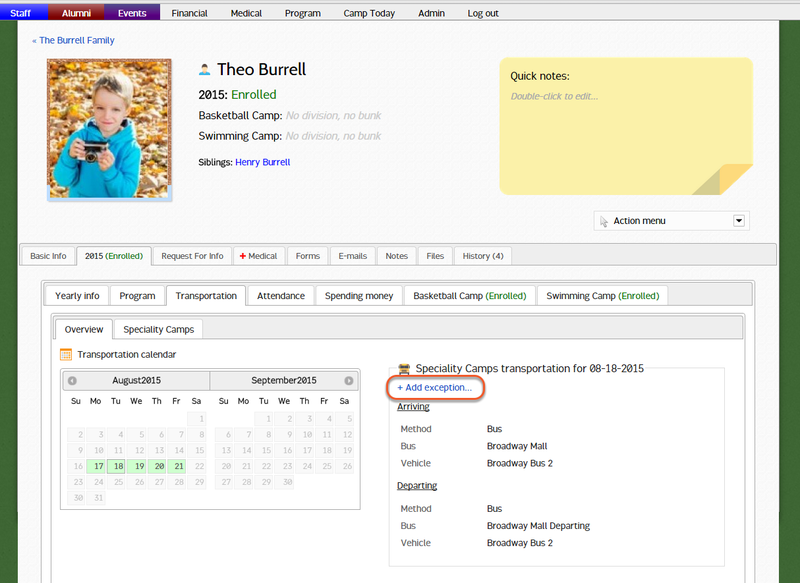 The day's exception will be indicated in yellow on the calendar, with the original transportation details, and exception, included in the daily summary.